We advise the LIDO where you can admire grand villas, walk along the beach and breathe the atmosphere of Thomas Mann’s novel Death in Venice. MURANO has always been associated with glass-making. Though it’s very interesting to watch the blowing and moulding processes, a walk around the island reserves many surprises. The 12th-century church of Santa Maria e San Donato is just one of many examples. 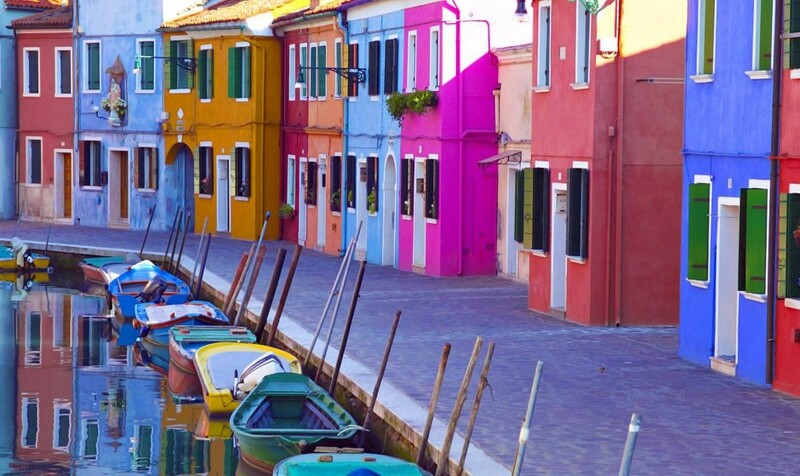 BURANO is populated mostly by fishermen and lace-makers. It is also famous for its gaily painted houses that lend the island an old fashioned charm. MAZZORBO is a delightful small island in which to soak up the special atmosphere of lagoon life. 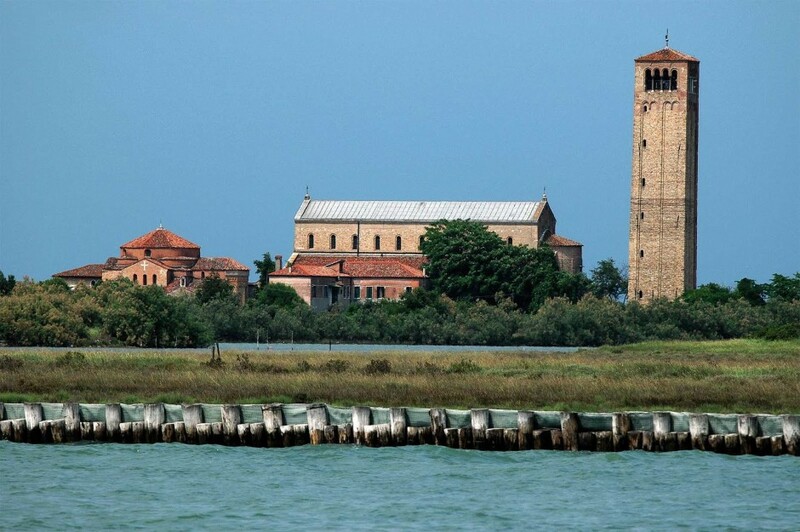 TORCELLO is famous for its Cathedral: Santa Maria Assunta was founded in the 7th century and is the oldest in the lagoon. It is decorated with 12th-century Byzantine mosaics. SAN LAZZARO DEGLI ARMENI is the headquarters of the Mekhitarist Order and one of the world’s most important centres of Armenian culture. Lord Byron studied the Armenian language there. The monastery’s library contains paintings, manuscripts and even an Egyptian mummy. 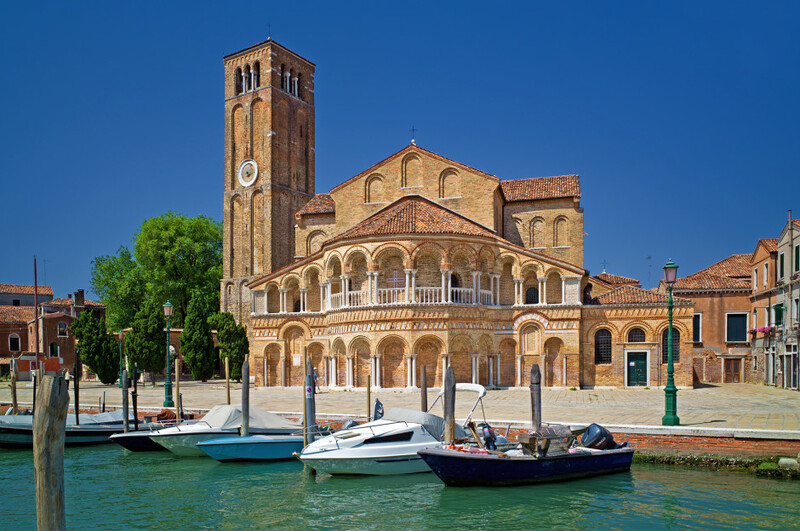 Another fascinating island is SAN MICHELE, the city’s cemetery, where Ezra Pound, Leopold Robert, Sergey Diaghilev and other famous people are buried. A tour may include two or three islands with a duration of 4 to 6 hours.